First-Years Present Seminar Research at CAFE Symposium | The Gettysburgian. The annual CAFÉ Symposium was held Wednesday, Feb. 6 from 4:30-6:00 p.m. in the CUB Ballroom. The symposium is an annual event held for faculty-nominated First-Year students to showcase their research from their participation in their respective First-Year Seminars. Students are instructed to take their research and turn it into a poster display for the event to use as a talking piece. As the event is open to everyone, students have the opportunity to passionately explain and detail the work they completed during the fall semester. 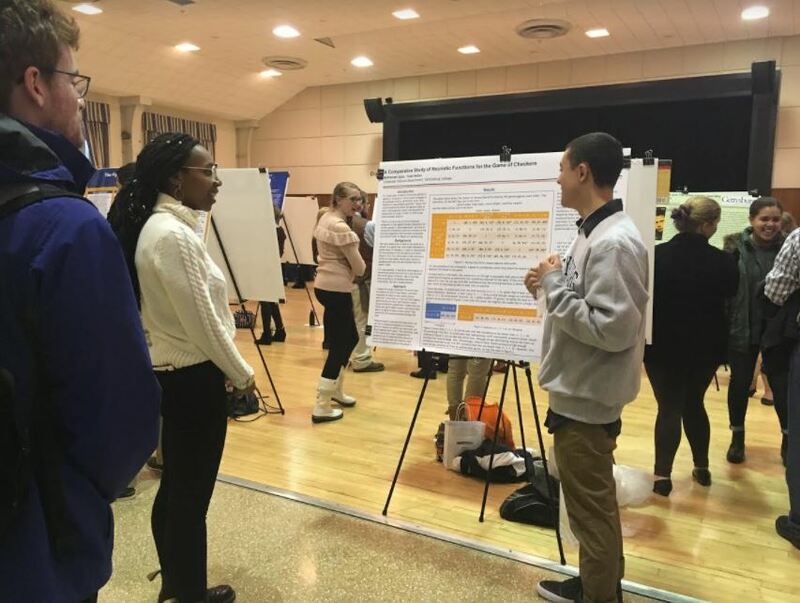 Overall, CAFÉ Symposium is designed to celebrate students hard work all the while helping to foster and develop research presentation skills for students as they continue their academic career at Gettysburg. The symposium is a great experience for young students and an intellectually stimulating event for all visitors.